Ramona and her cousin support the Wat Sakaeo Orphanage from Switzerland. During their visit in Bangkok they wanted to visit Wat Sakaeo Temple and have a look, how we use or sponsorships and learning more of the needs of the kids. 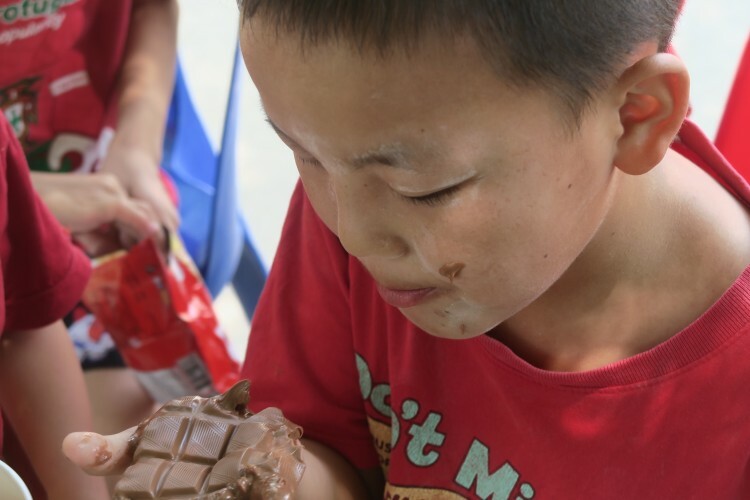 While Ramona had to stay in Bangkok hospital yesterday, we visited the orphanage with her cousin and the kids got original Swiss Chocolate – Ok, it was a bit hot for chocolate, but that doesn’t matter for the little ones.